Windows and doors require reasonable care and periodic cleaning in order to maximize their durability and operation. In salt-air environments, increased care and maintenance is required. 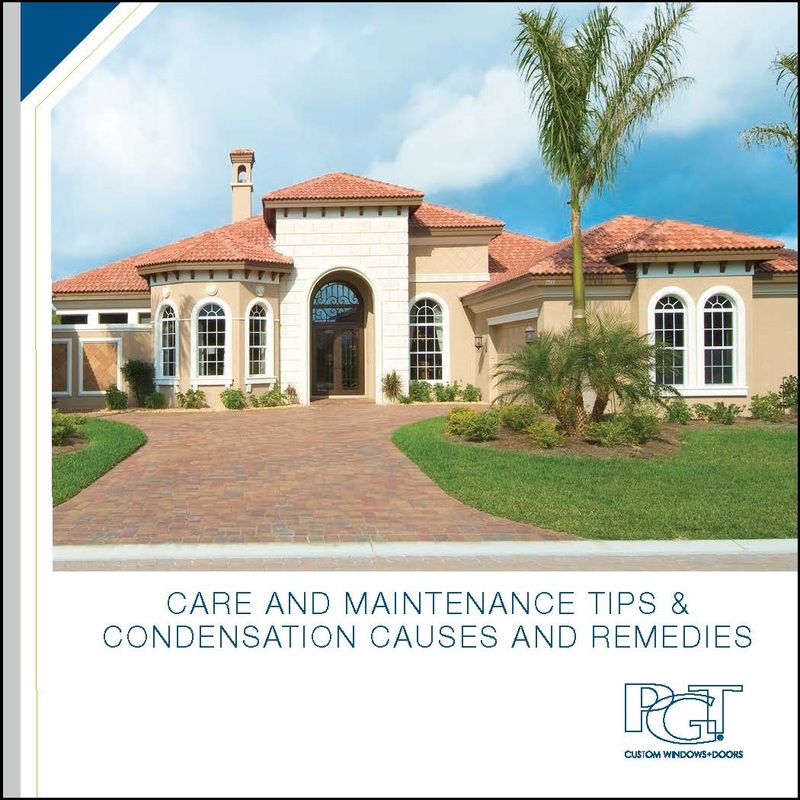 Download the Care and Maintenance Tips brochure on this page for helpful "Cleaning Do's and Don'ts" related to your windows and doors. Keeping plants in a sunroom or in rooms that are infrequently used during extreme cold weather. If there is too much moisture inside the home, you will see evidence during both the cold and warm seasons. Moisture spots on the ceiling or walls, peeling paint, rotting wood, delaminating plywood, moisture on exterior walls, and fungus, mold or mildew growth are signs of a more serious moisture problem. Should you experience these symptoms, an expert heating & cooling contractor should be contacted in order to solve the problem.